Now is the perfect time to go shopping for gifts before the Christmas rush gets in. If you are willing to splurge this..
Christmas is just around the corner, and it’s once again the season of gift giving! We’ve gathered a few gift items, perfect for.. 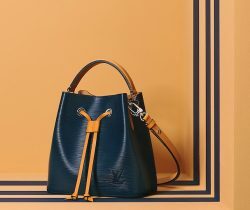 Introducing the Louis Vuitton Cruise 2019 Bag Collection. This season, Louis Vuitton updates their signature Monogram Canvas with the new Catogram pattern. Nicolas.. In August 2008, the husband and wife team Simon and Eugenia Han launched the premier online luxury goods reseller Yoogi’s Closet. 10 years.. When buying a designer handbag, many equates it to as an investment. To keep these precious designer bags in its (almost) perfect condition,..
Off-White is a Milan based design house founded by Virgil Abloh. The designer who’s been mostly known for sneaker and streetwear has produced.. The Double-Bag trend has been around for quite some time now. Gone are the days when you can only carry two bags when.. The latest issue of Vogue British for August 2014 with Victoria Beckham on the cover. The video above gives a behind the scenes..